Jaime joined our CPA firm in 2000 and is a key member of the Litigation and Business Valuation Department. 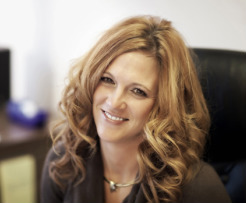 With over 10 ten years experience involving fraud investigations, tax, audit, and computer website and system design, she provides a unique background and perspective to our accounting firm. Jaime graduated from The Swamp (University of Florida) with a degree in computers in 2000. After leaving Florida, she received a second degree in accounting from Wright State University as well as her MBA, with a concentration in finance in 2004. Never one to sit still, Jaime passed her Certified Fraud Examination in 2006, earned her CPA in 2007, and became a Certified Valuation Analyst in 2010. What you might not know about Jaime? 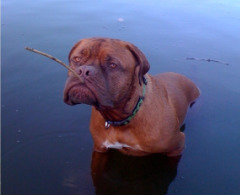 When she’s not in the classroom, Jaime spends time with her "Dogue" (Dogue de Bordeaux), Bruce. Jaime and Bruce love the water and can often be seen driving in her convertible, Bruce with his flamed "doggles" and checkered scarf. At 140 pounds, Bruce is a ball hog and an avid drooler.